Asteroid Day is a global awareness campaign in which people from around the world come together to learn about asteroids, the impact hazard they may pose, and what we can do to protect our planet, families, communities and future generations from asteroid impacts. Asteroid Day is observed each year on June 30, the anniversary of the largest impact in recent history, the 1908 Tunguska event in Siberia. How was 1999 RQ36 renamed Bennu? 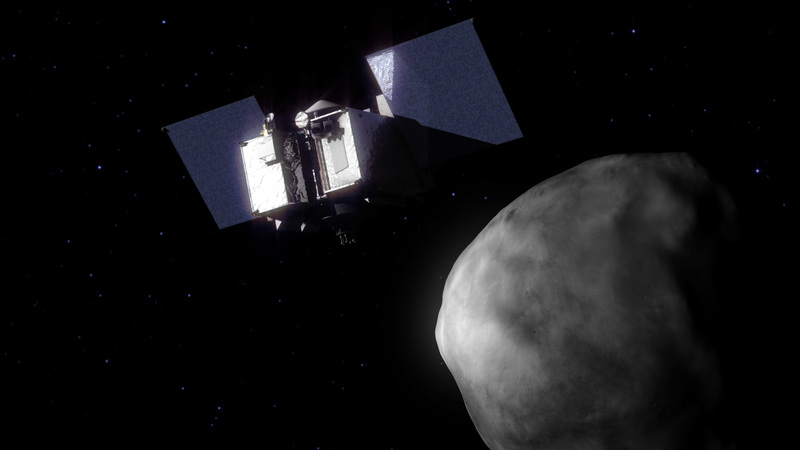 Believing 1999 RQ36 deserved a special name, the OSIRIS-REx team, led by the UA, partnered with The Planetary Society and the Massachusetts Institute of Technology's Lincoln Laboratory to sponsor a contest to rename the asteroid. More than 8,000 students from around the world entered the "Name that Asteroid!" contest. The winner was Michael Puzio, a third-grader from North Carolina. 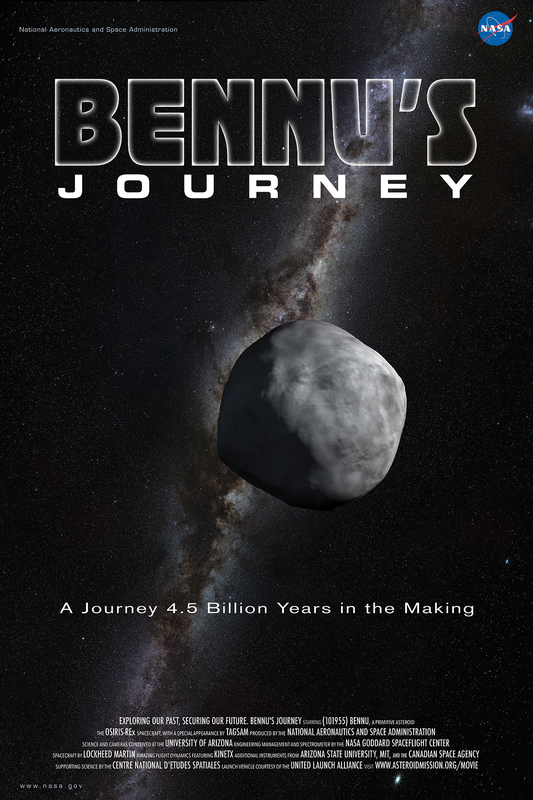 The International Astronomical Union approved the name of Bennu in April 2013. Bennu was an important avian deity in ancient Egypt and one of the symbols of Osiris, the god of transition, resurrection and regeneration. Egyptians usually depicted Bennu as a gray heron. The dual nature of asteroids — bringers of life's molecules and sometime bringers of destruction — inspired the name. "This is everything we know about Bennu," says Hergenrother, glancing down at the pile of paper. Hergenrother is a staff scientist at the University of Arizona's Lunar and Planetary Laboratory. Bennu is an asteroid and a small but distinct resident of our solar system — so distinct that it was chosen as the destination for the OSIRIS-REx mission. The OSIRIS-REx spacecraft is set to launch in September and in 2020 pick up a sample of the asteroid's regolith, the loose soil and rocky material found on its surface. The sample then will be returned to Earth for analysis. Hergenrother played a key role in choosing Bennu for the OSIRIS-REx mission. The first time he laid eyes on the asteroid, it was 2005, and 1999 RQ36 was cruising close to the Earth as it does every six years. Through the Kuiper telescope on Mount Bigelow, Bennu appeared as no more than a dot of light, "like a star that moves," Hergenrother says. After all, an asteroid is simply a "rock in space," he says. "We want to go to a particular type of asteroid, a carbonaceous asteroid," Hergenrother says. Researchers also want that asteroid to be rich in volatiles — substances that boil off easily, like water. "The thinking is that these are the kinds of objects that in the early days of the solar system seeded the Earth with the organics that life formed from, as well as the water needed," says Hergenrother, cautioning that there is still some debate about the matter. "But we hope that Bennu is what we would call a time capsule, that it hasn't changed much over the history of the solar system and will show what materials looked like in the very early days of solar system." Hergenrother became Bennu's champion after years of data collection and analysis — and a good deal of deductive reasoning. He served as coordinator for the mission, but much of the observation and deduction fell to other mission scientists. 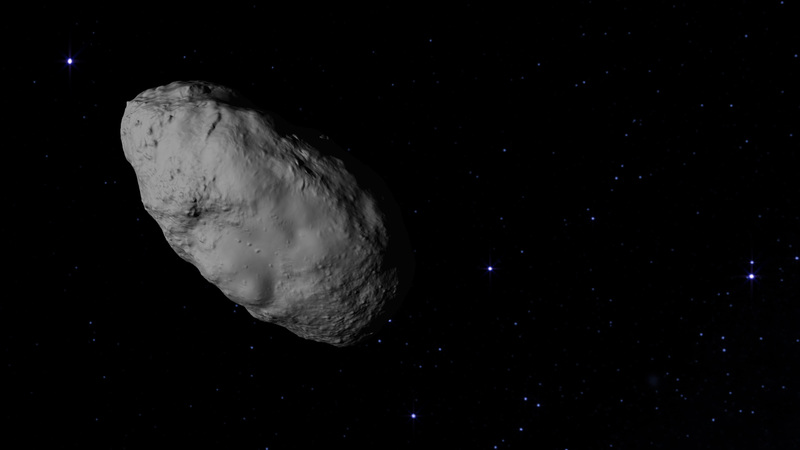 "We're now approaching a million known asteroids," Hergenrother says. "That wasn't the case when we started doing this 12 years ago. But we were still talking hundreds of thousands of asteroids at that time." However, the researchers didn't have to analyze nearly so many. Most of them could be quickly eliminated by their stark faults, such as residing too far from Earth. Closer asteroids allow for the completion of a mission within a reasonable amount of time. That criterion alone left only a couple thousand asteroids that remained viable candidates for exploration, Hergenrother says. "They're too far from the sun or too close to the sun," Hergenrother says. "Or they're at a sharp angle to the Earth, which would take a more powerful rocket to get into that kind of orbit." "Some are as small as a desk," Hergenrother says. "The ones smaller than about 200 meters have a habit of rotating very fast. The fastest ones we know about rotate about every 16 seconds." That's too fast to accommodate a spacecraft looking for a sample of regolith. Which Bennu seems to be. Its carbonaceous nature sent it to the top of the list of asteroids, says Hergenrother, who emailed Drake and Dante Lauretta, saying, "Guys, this is carbonaceous. It's looking good. And there's radar data." Lauretta, professor of planetary science and cosmochemistry at the Lunar and Planetary Laboratory, is Drake's successor as the principal investigator for the OSIRIS-REx mission. "What we think this means is that this is a rubble-pile object," Lauretta says, meaning that Bennu probably is made out of many boulders tens to hundreds of meters across. 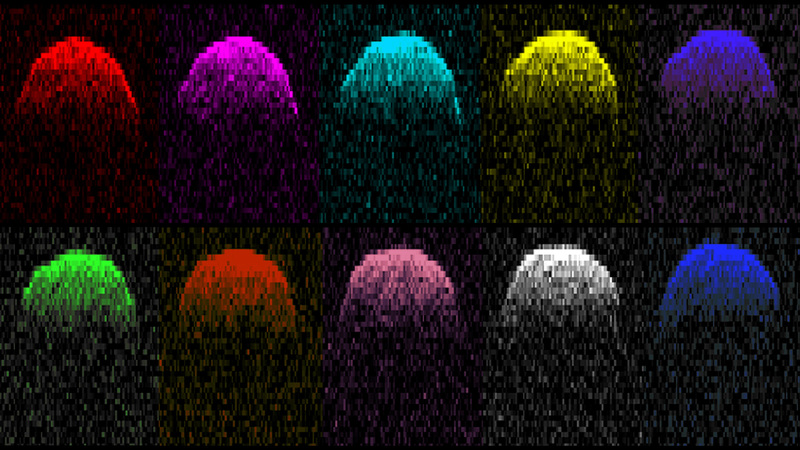 The boulders "are loose, and they’re responding to the forces of the asteroid spinning, and material is migrating from the pole of the asteroid and accumulating at the equator and building up a ridge," Lauretta says. This is a concern to scientists. In fact, Bennu is considered a potentially hazardous object and has a relatively high possibility of impacting the Earth. 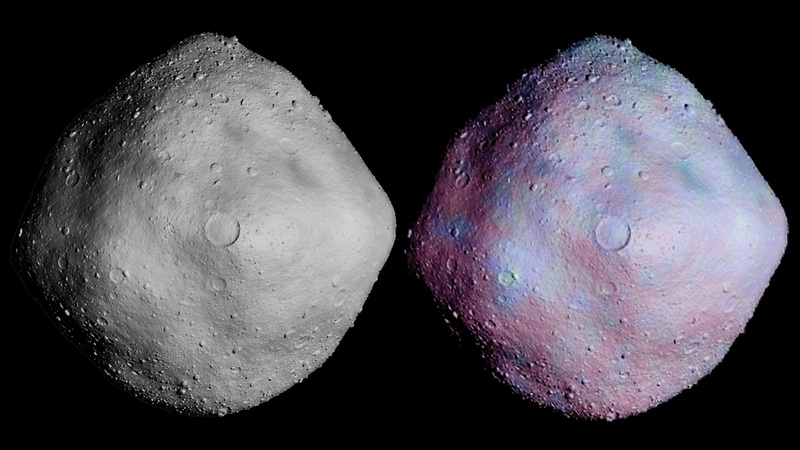 So scientists are interested in understanding how asteroids' orbits evolve. "Which is simply that an asteroid receives energy from the sun, turns that energy into heat, and as it rotates into the afternoon throws that energy back into space as thermal energy, and that acts like a thruster and changes the orbit of the asteroid slowly but surely over time," Lauretta says. "If you want to know where an asteroid is going to be in the future, particularly in our future, then you want to know about the Yarkovsky effect." "There are only three carbonaceous objects that are easy to get to," he says. "They all seem to be the same shape. They all seem to be relatively safe targets. They're scientifically interesting, and they're easy to get to. But that's only three out of nearly a million."